The Handbook brings together the work of 87 authors from around the world. The website provides additional information about the Handbook authors and their work and suggests topics for ongoing dialogue about the Handbook’s contents among members of the global action research community. 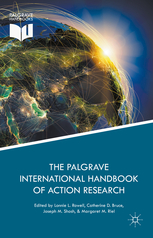 We hope to stimulate further dialogue among action researchers, to address critical issues in global action research, to respond to feedback on the Handbook, and to continue developing the themes presented in the Handbook’s six sections. Our hope as the Handbook editors is that, through this website, the print manuscript will become a living document that contributes to the further global development of action research, participatory research and practitioner research in all their varied forms. Overall, the Handbook website aims to enhance global knowledge democracy and knowledge mobilization. We hope you enjoy this companion to the Handbook and we welcome your feedback. Visit the Website for a FREE preview and buy now! How does the AR SIG Community Define Action Research? Discussion about how to define action research on this site, led to a study that combined the Delphi Method with SIG leaders and a Learning Circle process with participants who attended the community meeting in 2012 at AERA in New Orleans (Rowell, Polush, Riel, & Bruewer (2015). The study led the authors to construct an overarching narrative based on the 30 statements identified through the study’s Delphi and learning circles’ processes that depicts the essence of action research. The challenge was to offer a definition, supported by the data of the present study, which reflected a coherent pattern regarding the nature of action research and captured the dynamics of its conduct while respecting both the methodological plurality evident among action researchers and the likelihood that new forms of action research will develop in the future. We post it here in our SIG wiki with the knowledge that it will change. This is a living document. Feel free to change this version if you find it does not represent your views. Please add a comment about why you changed it so we can engage in a dialogue around our shared understanding of action research. You will have to sign-in to modify the document. See instructions on the left. The nature of action research places the researcher in the middle of the inquiry and not on the outside as an observer and/or experimenter. Action researchers do not claim ‘neutrality’ but rather account for their position in the action and inquiry. A strength of action research is that the researcher studies what she or he does in concert with others. Therefore, the knowledge created through action research is inevitably dialogical in nature, and is thus always a negotiated and co-created knowledge. This knowledge is not inert, but serves to improve the quality of life by engaging participants in a quest for deeper understandings that lead to improvement. Action researchers are often guided by questions of this kind, ‘How do I improve my practice?’ Action research takes time, energy, commitment, and courage because it is about changing oneself, which means changing one’s thinking, and recognizing that, once changed, there is no going back. However, action researchers are also engaged in a process of authentic collaboration with participants who seek to improve their practices. 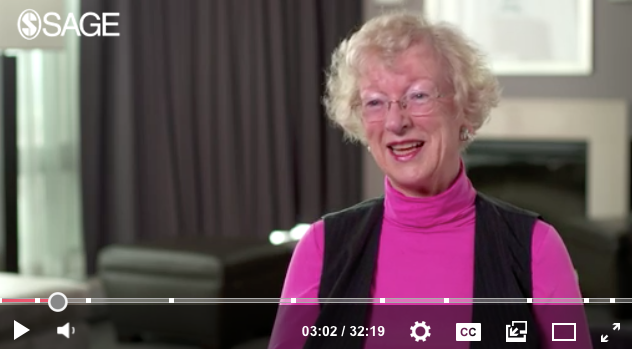 The focus is on the actors (participants) within their local social contexts. These participants are often co-researchers (but not always). The four key processes of an action research cycle include planning, implementing the plan, gathering and analyzing data as the plan is implemented, and reflecting on these results. The choice of specific data collection and analysis methods (practices) occurs in alignment with the action researcher’s personal and professional epistemological and ontological belief systems, while also reflecting the discourses of the larger organization and society within which the action research is being conducted. Further, the choice of research methods in action research is dependent upon the question, problem, dilemma or dissonance to be examined, and the nature of the practice situation. The cycles of action research represent iterative problem solving linked by reflection. Critical reflection on action and reflexive writing are key and central processes of action research.